September 17-24, 2017: the new edition of the international theater festival "In the Homeland of Anton Chekhov" was held in Taganrog. The tradition of the festival goes back to 1980, and received an international status in 1993. In this short period of time, theater companies and artists from Russia, Japan, Germany, Spain, Italy, Australia, South America, Georgia, Croatia, Ukraine and Great Britain have participated in the event. This year theater companies from Taganrog, Moscow, Nizhny Novgorod, Astrakhan, Vologda, Rybinsk and Donetsk (Donetsk Peoples' Republic) performed on stage of the historical Taganrog Chekhov Drama Theater. 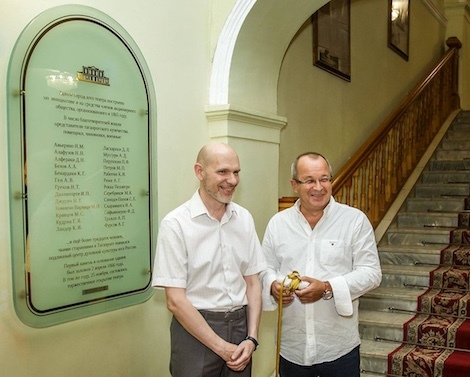 Within the framework of the festival, Taganrog Theater held several significant events: celebration of its 190th anniversary, the unveiling of a memorial plaque bearing the names and surnames of benefactors who financed the construction of the theater building in 1866, and last but not least - publication of a book dedicated to Taganrog Theater's history by Marianna Grigoryan, an art history PhD. 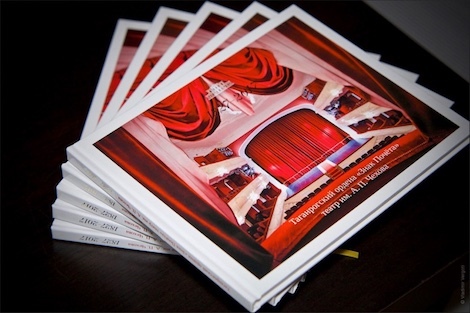 "Taganrog Chekhov Theater" - the new book by Marianna Grigoryan. By September 17, the opening day of the festival, actors of the Taganrog Chekhov Theater timed the first night of their Molière's classic "Le Médecin malgré lui" ("The doctor in spite of himself") performance.